McKenzie earned her Doctorate in Physical Therapy from the University of Mary and her Bachelors of Science in Exercise Science from North Dakota State University. 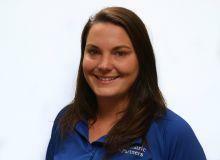 McKenzie has a wide range of knowledge working with a variety of individuals both in home and in the community. She comes to Pediatric Partners with experience working with children by coaching adaptive PE classes for area schools, after school programs and kids' fitness through TNT Kids Fitness. McKenzie has also worked in home based settings as a direct support professional and at summer camps for children with special needs. McKenzie's areas of interest include behavioral needs, developmental delays, neurological impairments and orthopedics.